Weekly Recap #347 February 8th – World of Tanks, Apex Legends, FFXIV & More! Final Fantasy XIV’s EU Fan Fest has been happening this week over on their official Twitch channel! During the show, they showed off the extended trailer for the upcoming expansion pack, “Shadowbringers”, and announced that early access for the expansion would begin on June 28th, 2019. The new Gunbreaker class, a powerful new style of Tank, was also on full display during the broadcast. The “Viera” race from Final Fantasy XII makes its way to Final Fantasy XIV, alongside a followup to the popular Return to Ivalice raid entitled YoRHA: Dark Apocalypse. The Collector’s Edition of the game will include a special art box, a Dark Knight figure, an art book, and a deck of Final Fantasy XIV playing cards in addition to a Grani mount, Wind-up Fran minion, and revolver gunbreaker weapon, sounds like pretty intense collector’s edition if you ask me. But speaking of fan events, Dungeon Fighter Online wants to hear your Valentine’s Day stories! Good bad or ugly, they’ll be read during their next ExStream, which takes place on February 10th, 2019 at 6PM PST. The reward for this will be an ExStream exclusive item for those who are feeling bold enough to share. If you’re feeling particularly chatty, email Neople at dfo-event@neople.co.kr. Next up, My.com announced this week that they’re opening the gates of their upcoming medieval MMO Conqueror’s Blade this month! The first fully-featured closed beta test is live now! Beta key users and founder’s pack owners in North America and Europe now finally have the chance to see the fully featured game in action for a limited time. This will also see the introduction of tutorial missions to help players adjust to the game. In other news, The Population Zero development team released a dev-blog this past weekend discussing the game’s Perk system, which promises to be more than “just another talent system”. Every time a player partakes in an activity on Kepler, it has a chance to grant them a new Perk to equip. This allows players to perform more actions efficiently and encourages players to try a lot of different things around the game’s world. Conditions for obtaining perks vary wildly, but include tasks like killing alien animals or climbing to the highest mountain in the game and remaining there for several minutes. Each perk will also have multiple different ways to unlock it, so variety shouldn’t be an issue, even if you only like to do some of the tasks. It’s worth noting that some perks will be permanent while others may only be temporary. The dev blog also shows off the entirety of the Perk UI so you’ll have a chance to see all of this in motion. Next up, Crossout announced the release of their latest major update entitled “New Sky” this past week! This massive overhaul of the game’s engine offers new lighting effects, dense fog, more volumetric clouds, and realistic sunlight effects! It doesn’t seem to be quite on the level of ray tracing so don’t get too excited, those of you who have new Nvidia RTX cards. A great deal of effort has also gone into optimization, so the new graphical upgrades shouldn’t affect the game negatively. Alongside the visual update comes a handful of changes to Clan Battles: now either side of a Clan battle must achieve two victories and the amount of positions on the ladder receiving rewards has been increased. Definitely a massive and I would say needed update to the Crossout engine and the new preview trailer you see here shows it off rather well. On a slightly similar note, update 1.4 is now live for World of Tanks introducing new French wheeled vehicles, the return of the Ghost Town map, and multiple improvements such as a new atmospheric sound track. Update 1.4 introduces five French armored cars and the branch will run from Tier VI to X. Wheeled vehicles differ from “regular” tanks due to their new unique mechanics: the lock-on feature and two driving modes. These mechanics are added with each Tier gradually as you research new vehicles. As their Tier rises, the difference in maneuvering and speed between the two available modes, Default and Drive, also increases. Update 1.4 brings a new important technological feature as well called concurrent rendering support. Developed in close collaboration with Intel, many of you will see a noticeable increase in FPS, especially on medium- and high-performance PCs. Ghost Town, a map that previously served as an arena for battles in various game modes and tournaments, will return as a Random Battles map. This “long-forgotten” locale has received a considerable revamp and an atmospheric soundtrack. Ghost Town is now more epic, beautiful, and has grown to 1,000×1,000 meters. As you can tell that’s a pretty big map, it’s a pretty big update to say the least check out the entire dev blog. Moving on to our healthy dose of Battle Royale news, Battlerite and Battlerite Royale are getting set for their new Battle Pass, which arrives soon on February 19th. The free pass will be available to everyone, though two additional passes can be purchased for $9.50 and $24.49 respectively. The free pass, which naturally contains fewer rewards than the paid passes, will still include special Season related rewards. The Battle Pass will also preserve progress between both Battlerite and Battlerite Royale. Its not a battle royale with some sort of season pass. Also last week, Realm Royale hit the 120,000 players milestone recently, hot on the heels of their OB15 update which introduced Catapaults to the game. Heroic Leap has also entered into a partnership with Discord, which means new players will have the option to download the game from the Discord store! Not quite clear as to why that is beneficial, perhaps someone can enlighten me in the comments below. The update also introduced a new mastery system to help players progress and develop their classes in-game. If all of that wasn’t enough, you’ll now be able to unlock Mount Emotes, which are unique to each mount in the game, because why the heck not. But speaking of games drawing big numbers, Apex Legends, which launched this week with no prior marketing boasted 2.4 million players in its first 24 hours! That’s actually at the time of writing this, as soon as the game was live for 72 hours it apparently hit 10 million players and about a million consecutive players online, according to the Verge. Apex Legends is a new, you guested it, Battle Royale game from Respawn, the makers of Titanfall, centered around 3 man squads competing for supremacy in 60-man matches. Instead of standard generic models to slap cosmetics onto, the game features 8 legends for players to choose from, each with a unique passive, active skill, and an ultimate abillity… so its got a slight Overwatch-y vibe in that regard. There are still a ton of cosmetics to unlock of course, but they’re more specific to each character or weapon type in the game. There’s a ton to cover about the game itself, so you’ll definitely want to look out for Colton’s first look video coming at the beginning of next week for more in-depth coverage. And finally finishing up the news this week, Hoplon Entertainment has finally launched the third season of its popular vehicle combat MOBA Heavy Metal Machines! Season 3, Sect of Metal, focuses on a violent religious order, expanding the game’s lore and introducing 90 new items including skins for new converts Rampage, Litthel Monster, and Killer J. Says Tatiana Moreira, Hoplon’s Head of Marketing and Publishing, “We are also working on loads of new features based on the community’s feedback. They were the first to know about Season 3 and already know a little about Season 4. Their approval is very important to us.” Hopefully the community continues to help shape the game into what it needs to be for its players. And when in doubt… battle royale. 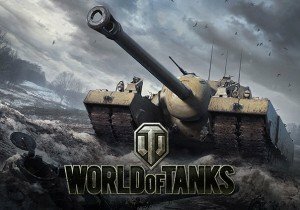 Wargaming has released Update 8.0 for World of Tanks in North America and Europe. GBE Games’ is set to launch the Closed Beta Test of the new free-to-play MMORPG, Blade 9 on September 9, 2014!